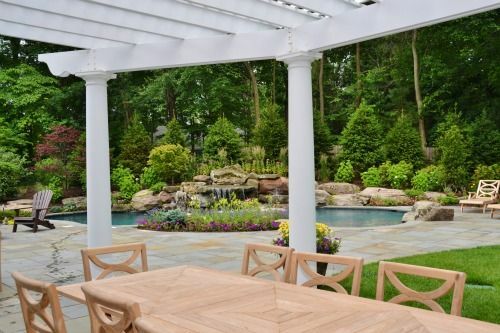 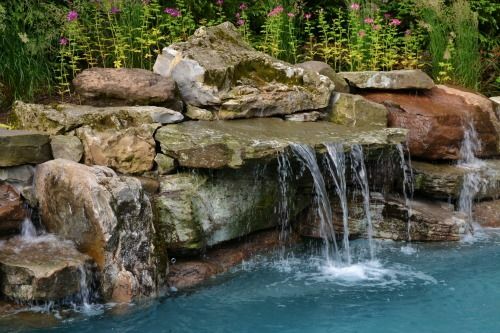 Natural and rustic swimming pool design, complete with a custom water feature as the main fixture of this backyard. 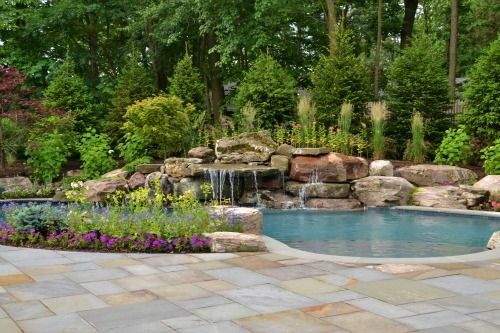 Lush landscape and colorful plantings encompass this swimming pool space. 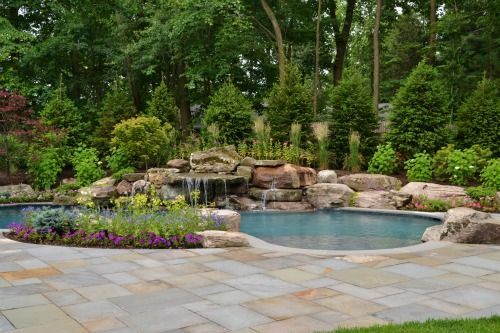 This natural custom built swimming pool blends seamlessly into it’s surroundings. 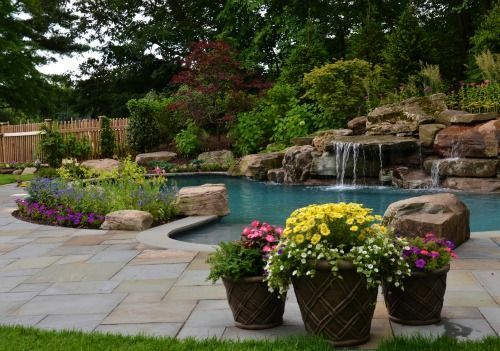 Complemented by lush landscape and colors, it has a truly unique feel. 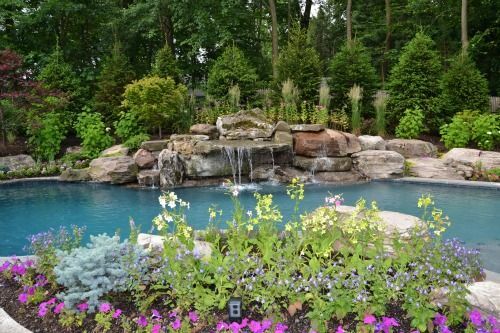 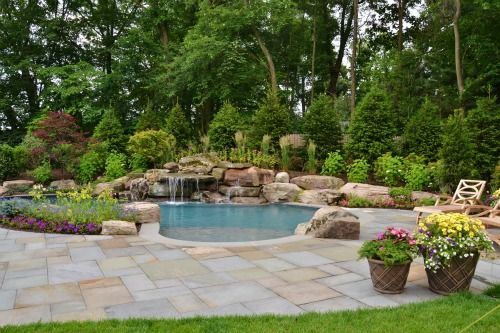 The natural stone waterfall creates a tranquil effect, turning this residential backyard into its own private oasis.